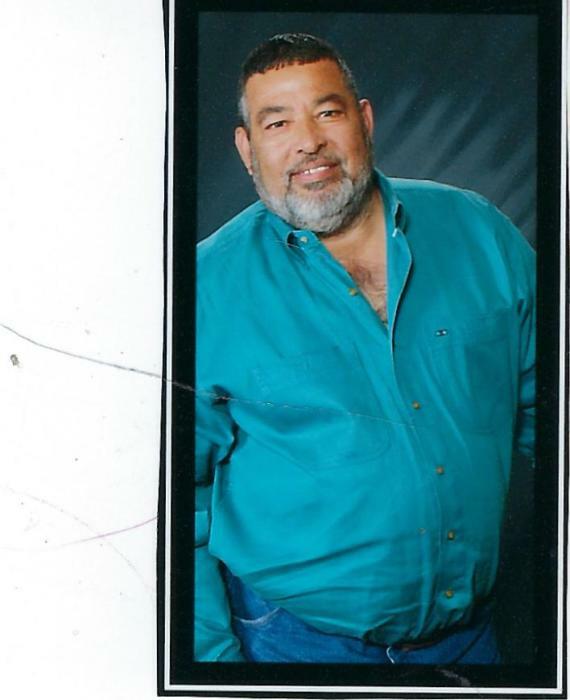 Obituary for George Louis Lopez | Dixon Funeral Home, Inc.
George Louis Lopez, 60, of Sweeny passed away on Monday, January 21, 2019 at Lake Jackson Healthcare Center in Lake Jackson, TX. He was born on August 30, 1958 in Bay City, TX. He was a very sweet person and never met a stranger. He loved spending time with his family especially his grandchildren. He retired from Brazoria County Pct. 4 where he worked as a truck driver. He was a former volunteer firefighter for the Sweeny Fire Department. He was preceded in death by his mother, Maria Gutierrez; stepfather, Jose P. Gutierrez, father, Augustine Lopez, sister, Mary Jane Lopez and very special friend, Diana Garcia. He leaves to cherish his loving memories, his loving daughter; Jennifer Alford and husband Stephen of Sweeny; sons, Coleman Pollock and wife Dakotta and Dillon Pollock both of Sweeny; sisters, Martha Browning of San Antonio, Gloria Moore and husband David and Rosa Stewart both of Sweeny, Alice Vallejo and husband Adam of Mathis, Vicky Gutierrez and husband Paul, Maria Alicia Mesa and husband David and Maria Antonia Campos and husband Ray both of Victoria; brothers, Joe Gutierrez of Sweeny and Michael Gutierrez and wife Melissa of Apple Valley, Minnesota; former wives, Cathy Lopez and Susan Pollock both of Sweeny; grandchildren, Breyton Scott, Kynnadi Pollock, Joan Pollock, Aurora Ruhr and Faith Rucker and other relatives and friends. Family will receive friends on Saturday, January 26, 2019 from 9:00 a.m. to 10:00 a.m. at Dixon Funeral Home in Brazoria with services starting at 10:00 a.m. with Rev. Joel Mejias officiating. Private burial will be at a later date. Special thanks to the staff at Lake Jackson Healthcare Center and Amed Hospice for their wonderful care. In lieu of flowers make donations to Sweeny Volunteer Fire Department, Sweeny Community Hospital or a charity of your choice.